Houseplants do wonders for a house: they breathe new life to a room, add a bright pop of color, and purify the air. Not all plants are equally effective, however, when it comes to filtering harmful air-borne toxins and pollutants. NASA conducted a Clean Air Study to identify the best air-filtering indoor plants, all of which commonly found at local flower shops, to help guide us in our purchasing decisions. 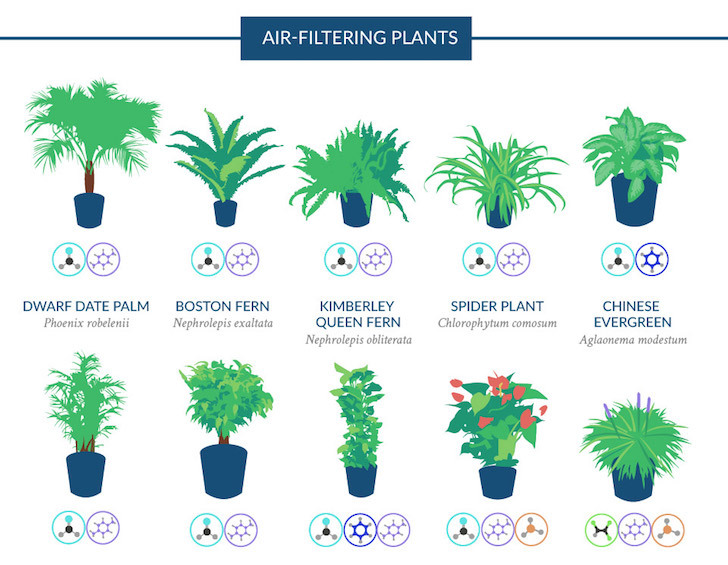 Even better, Love The Garden created an infographic that lists 18 NASA-recommended plants for improving air quality as well as the common toxins that each plant can treat.